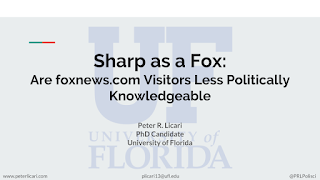 I'm presenting a new paper at the Florida Political Science Association (FPSA-- not to be confused with the FPSA that is the Food Processing Suppliers Association which Google adamantly, inexplicably directs me to). 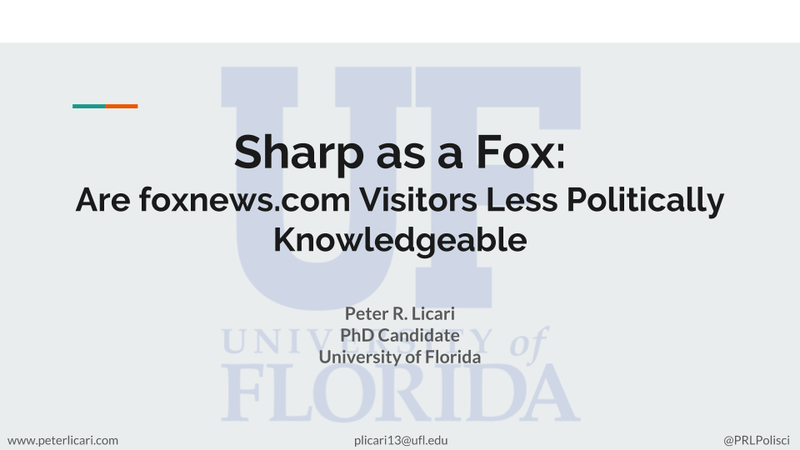 The Paper is titled "Sharp as a Fox: Are foxnews.com visitors Less Politically Knowledgeable." For those interested, there's a link to the presentation bellow. 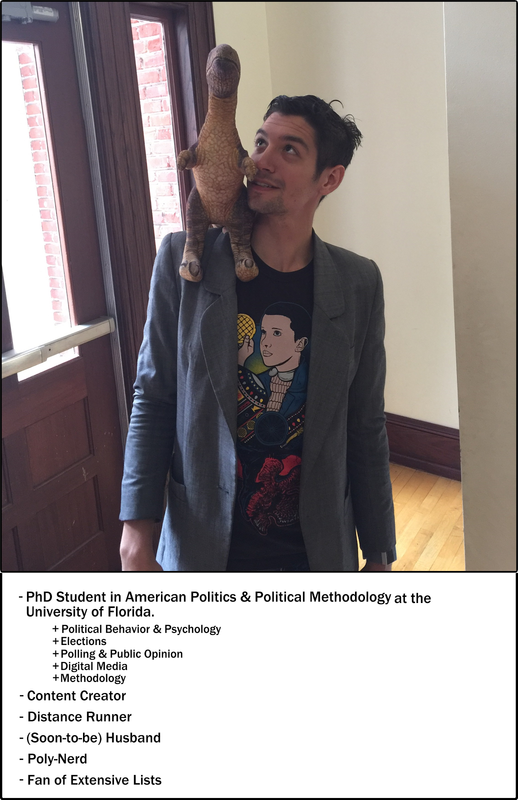 I'll put a link to the working paper once I've incorporated in the feedback from everyone.